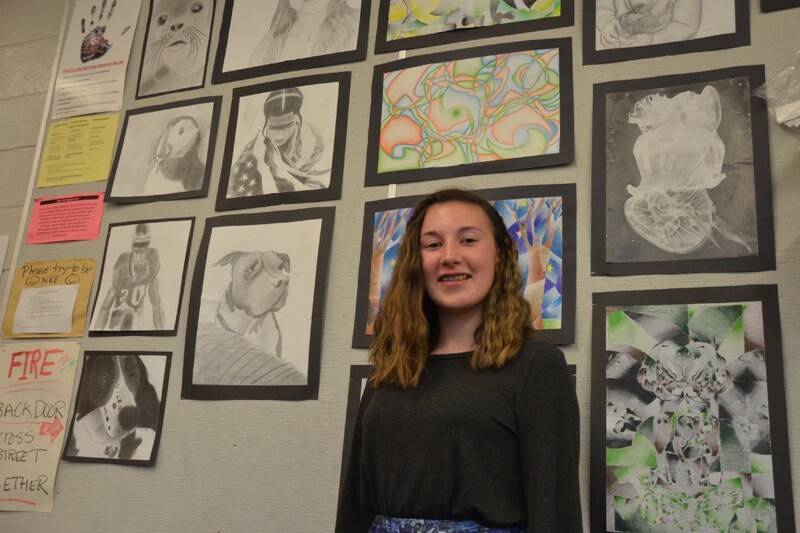 Seventh grade student Caitlin Hartman, 13, stands in the art room at Palmyra High School. Her piece titled “Penny” was selected to be shown at the New Jersey State Teen Arts Festival later this month. 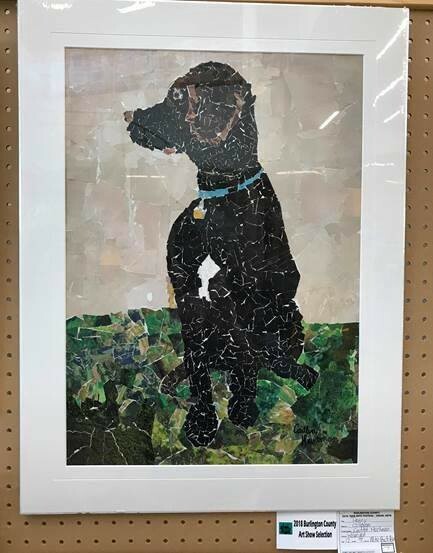 A Palmyra seventh grade student’s collage was one of a handful of pieces from Burlington County selected to be included in the New Jersey State Teen Arts Festival later this month. Caitlin Hartman, 13, created the collage by ripping small pieces of paper from magazines and gluing them onto a sheet. It’s a painstaking and lengthy process. “It took awhile to find the exact color you wanted to get the right fade or design,” she said. The piece is titled and modeled after Caitlin’s dog Penny. Caitlin’s collage was picked by a team of judges to advance to the state event after it was shown at the Burlington County Teen Arts Festival in March. “I was really excited to hear that it was going somewhere,” Caitlin said. Caitlin said she has been interested in art for a while and plans to continue working at it as she gets older. “Penny” will be on display Wednesday, May 30, through Friday, June 1, at the state festival, which will be held at Ocean County College. From there, the piece could be selected to go on a tour and be shown at various locations across New Jersey, Budden said.